Irvin Kershner, known to Star Wars fans as the director of The Empire Strikes Back, has passed away. He was 87 years old. I became hooked on all things Star Wars at the tender age of three, when my parents introduced me to The Empire Strikes Back on VHS. I had no idea there were other Star Wars films in existence at that point in my life, so I’m fairly certain large portions of the story went right over my head. Nevertheless, I thrilled to the Rebels’ Hoth escape, the Millennium Falcon’s race through an asteroid field to evade the Empire, the wisdom of Yoda and the exciting lightsaber duel between Luke Skywalker and Darth Vader. Even though I had no real concept of the grander Star Wars universe—something I’d go on to spend many years examining and appreciating—Kershner’s storytelling sensibilities made that galaxy far, far away feel accessible, rich and, most importantly, real. Sure, George Lucas unveiled Star Wars to the the world with the original film in 1977, but it was Kershner’s sequel released three years later that transformed Lucas’ space opera into a genuine modern myth. This is probably why just about every adult Star Wars fan will name The Empire Strikes Back as their favorite film of the saga. Lucas met Kershner while he was a student at the University of Southern California, and came to admire the elder filmmaker as a mentor. Indeed, he will be. Click here to read a recent interview with the director, originally published in the August/September 2010 issue of Star Wars Insider. "Empire" will always remain the best of the series. 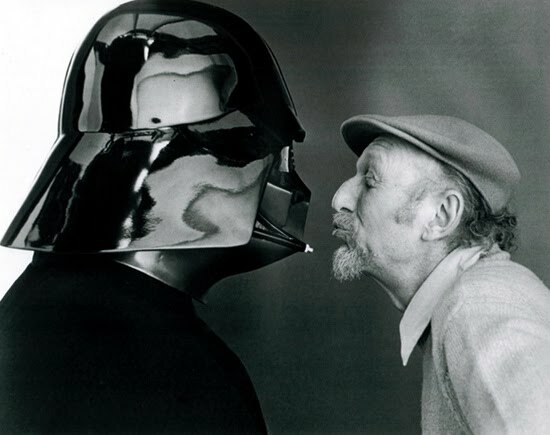 I actually didn't know Irvin Kershner was the director until around the time Episode I came out. Up until that point, I thought George Lucas directed all three original movies. Natalie Portman in a Thong! Spider-Man Musical Delayed Yet Again!